I Have A Nurse Call System, Why Should My Community Upgrade? 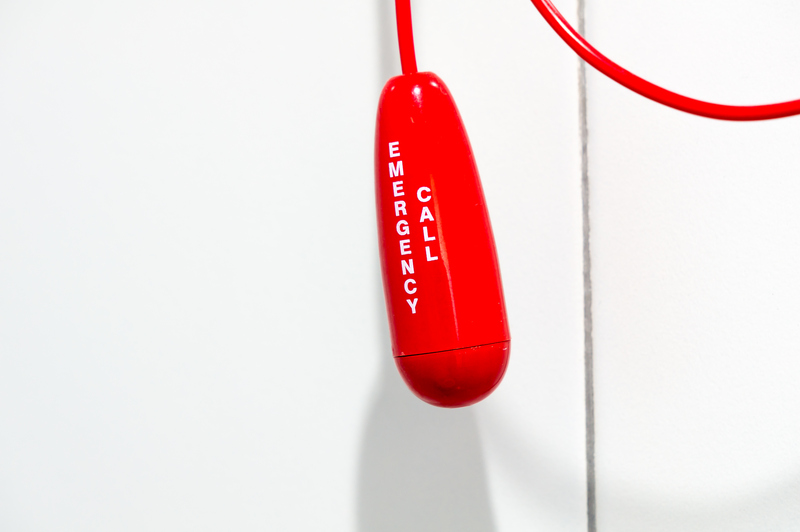 Traditional Nurse Call Systems have limited coverage across a campus and are only useful if a resident in distress happens to be next to a pull-cord. In other words, traditional nurse call systems provide a false sense of security since they are usually out of reach when help is needed. On top of this, there is a chance that some of the pull-cords in an aging system don’t work at all. Think of the average private room in your campus: If one of your residents fell in their suite and could not get back up, would they be able to reach a pull-cord to call for help? If the answer is “No”, then you need to upgrade your system. The best replacement for a traditional pull-cord system is a wireless nurse call system. Wireless systems use resident worn pendants that provide access to help, from anywhere on campus. When a resident needs assistance, all they need to do is press the button on their pendant, which notifies staff. From a safety stand point, an upgrade from a pull-cord only system to a wireless nurse call system is a must! RTLS In Motion is the latest smart nurse call system from Momentum Healthware. Wireless pendants provide staff and residents with access to help from anywhere on campus, while also providing extremely accurate location tracking. Our high precision location tracking allows for smart and proactive alerting that detects resident inactivity, interactions, and much more. When a resident calls for help, staff receive an alert via the mobile app, telling them who called for help, where on campus they are located, and the time of call. When staff tend to the resident in need, the system detects the staff pendant is in close proximity to the resident and automatically marks the call as answered. The RTLS In Motion system keeps a detailed log of resident and staff’s location history, call response times, call frequency, and call duration, which is useful for investigations, process improvement, family conferences, and reimbursement review. RTLS In Motion provides Senior Care Campuses with the tools to improve resident safety, and to improve operational performance. For more information, please visit our product page, here. Pro Tip: If you have an aging nurse call system, set up semi-annual reminders to check every component of your nurse call system, to confirm proper operation – it could save a live! Better yet, upgrade to RTLS In Motion and receive smart alerts if devices become unresponsive or run low on battery!